All of us at Arizona School of Dental Assisting are honored to prepare students to attain their dreams and enrich their communities. Mrs. Stevenson is a native of Arizona. She attended high school in Arizona and went on to attend SCC and NAU. She is X-ray certified by the Arizona State Dental Board of Examiners. Mrs. Stevenson has been in the dental field since 1981 and has been involved in many different specialties in the field. However, her expertise encompasses supervision and clinical instruction for future dental assistants. 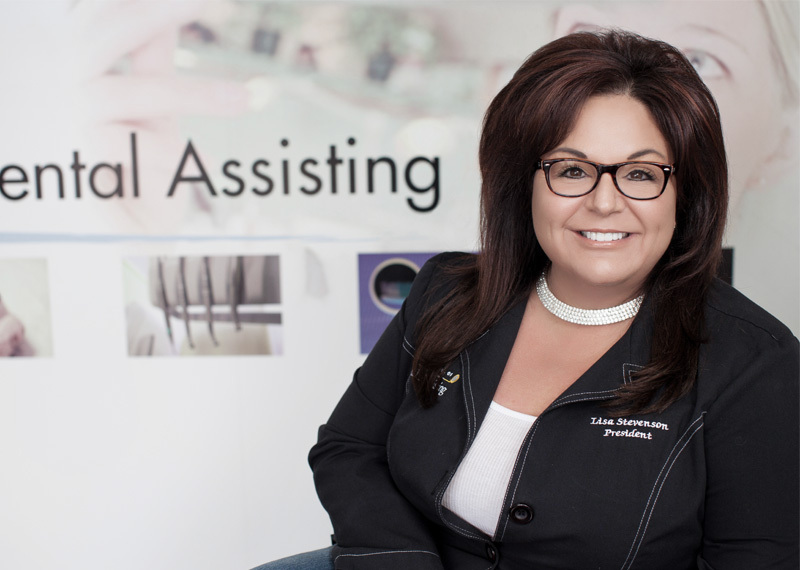 She has also played a big part in the training for the other dental assistants on staff and had decided with Dr. Divito to open a dental assisting school that would prepare students with the knowledge and technical proficiency that will allow them to become immediately employable in a dental office upon graduation. That mission started when Dr. Divito and Mrs. Stevenson opened the school in 2001. It has continued to train well-needed assistants for this field. Mrs. Stevenson is very much involved with the everyday happenings within the school and with each and every student that comes through the school, thus making the school a great success. With that being said, our success is the success of our students. 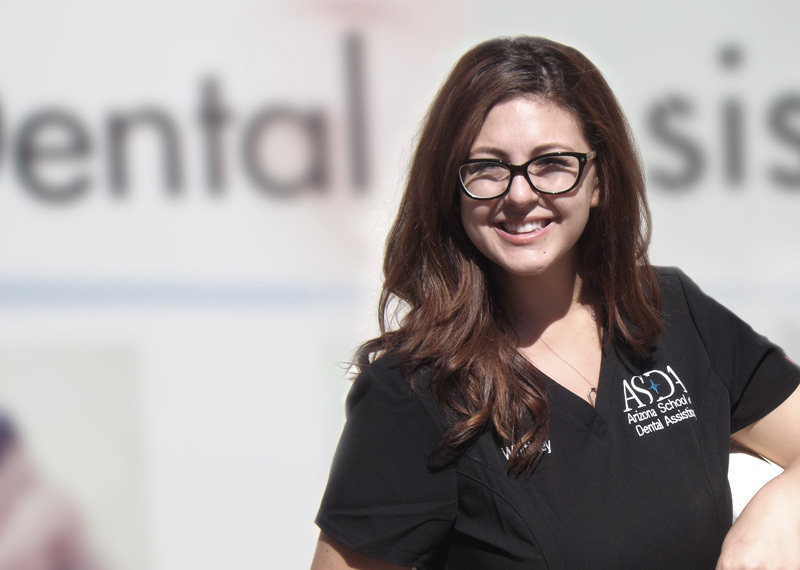 Ms. VonTesmar is a graduate of Arizona School of Dental Assisting. She has worked as an Office Manager/Patient Coordinator in dental offices and has experience in all areas of the dental office, CHAIRSIDE, clinical and management. She has worked as a dental lab technician and went on to manage dental labs, consulting with Drs. on case planning, techniques, shade selection and products. Ms. VonTesmar has been in the Dental Industry since 2006. Dentistry is a passion for Ms. VonTesmar, she has experience in office management in both professional and dental settings. Ms. Greenleaf is a graduate of the Arizona School of Dental assisting. 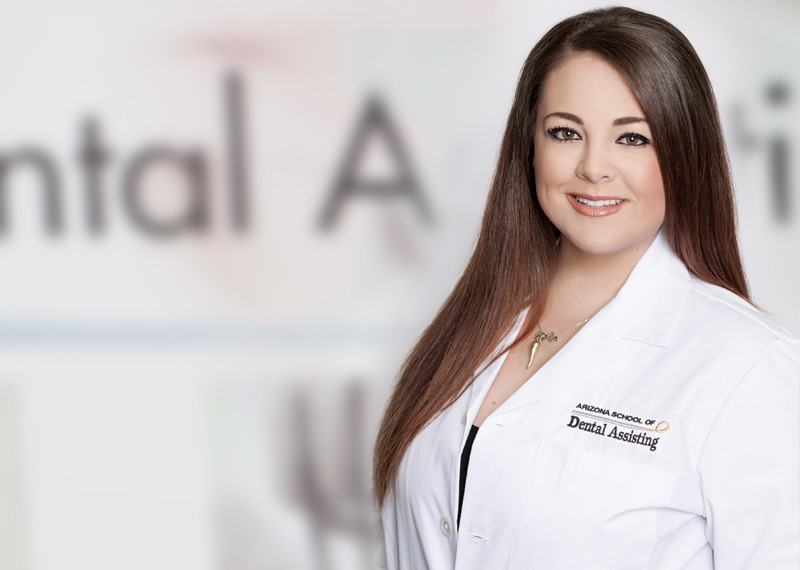 She is a native of Arizona and has had a passion for Dentistry at a young age. 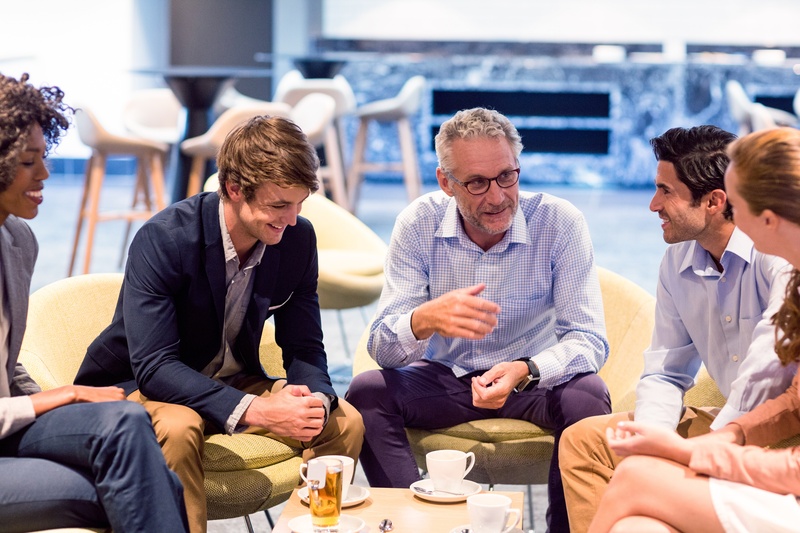 She has been in the dental industry since 2009 and her experience in the dental field includes General Dentistry, front office and a specialty in Orthodontics (expanded functions). Ms. Geenleaf is x-ray certified by the Arizona State board of Dental Examiners and is continuing her education in the dental hygiene field. 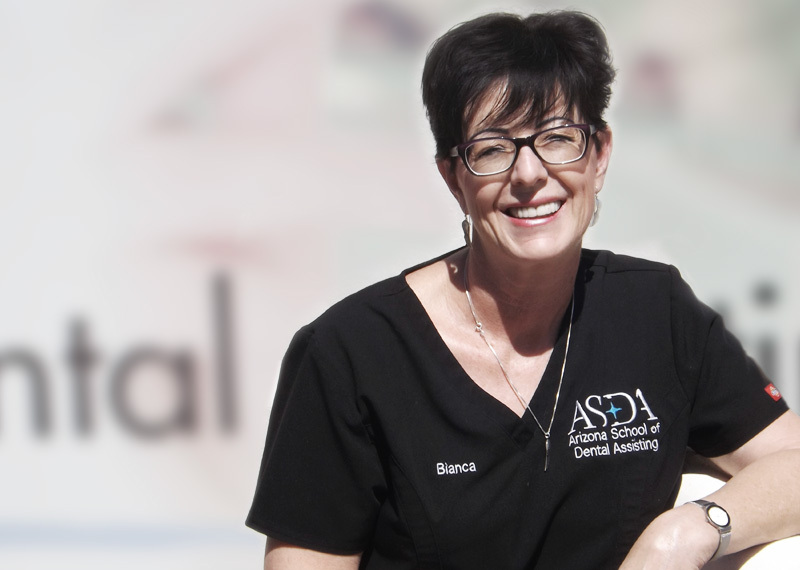 Ms. Archambeau has been in the dental industry since 1980 and is a graduate of the Arizona School of Dental Assisting. She has managed and worked the front office for many dental offices. Her expertise is in the educational settings to include Grand Canyon University and Arizona State University West & Tempe campuses. Her passion is dedicating herself in educating students to create and develop their career path. She has successfully assisted students with advisement as well as with job placement.